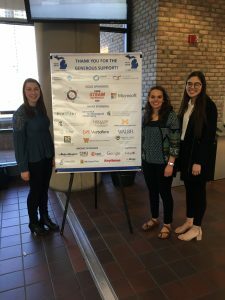 Hope College students and faculty from the Computer Science Department attended the Michigan Celebration of Women in Computing the weekend of March 29 and 30, where they learned about Data Science and gender-bias in Software Engineering. Dr. Valerie Taylor, director of Argonne National Laboratory’s Mathematics and Computer Science Division, gave two lectures as part of the Gentile Interdisciplinary Lecture series on March 6 and 7. Her presentation highlighted the impact Argonne’s work on high performance computing is making on important problems in a variety of scientific disciplines. 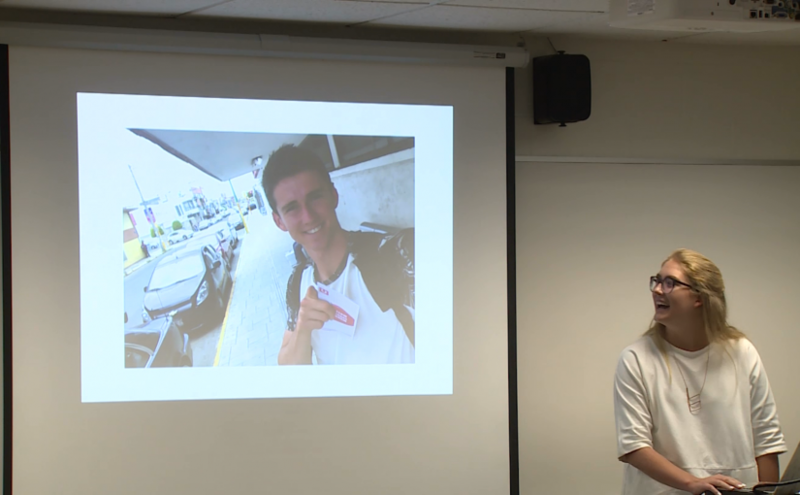 In addition to inspiring the audience to consider pursuing computational approaches to problem solving, Dr. Taylor also inspired at least one student in other ways. Read the blog post below to learn how Heaven Silas was encouraged by Dr. Taylor’s talk. One of the distinguishing features of a Hope College education is the effort our faculty and staff make to help ensure that students think about more than just the technical aspects of their computer science education. 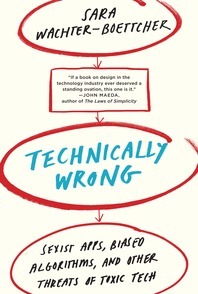 One way we have been doing this recently is in our “Exploring Computer Science” course by having students read and discuss two books that examine the societal impacts of technology, both on those who use or are otherwise affected by it, and on those who design and create it. The two books are Weapons of Math Destruction by Cathy O’Neil, and Technically Wrong: Sexist Apps, Biased Algorithms, and Other Threats of Toxic Tech by Sara Wachter-Boettcher. O’Neil’s book takes a look at how our increasing reliance on algorithms to make decisions has unintended impacts, particularly when those algorithms have biases encoded in them, either intentionally or unintentionally. Wachter-Boettcher expands on the issues explored by O’Neil by looking at how the lack of diversity in the tech workforce might contribute to the problems caused by these algorithms. Rather than tell you about these books myself, however, I’m going to let you hear from two students from the fall 2018 offering of “Exploring Computer Science,” Cy Balk and Kyle Ross. In addition to reading one of the two books and writing a review, each student in the class was paired with a partner who had read the other book and tasked with creating a “podcast” episode where each played the role of their book’s author in a discussion about the two book’s content. Though both Cy and Kyle are male students playing the role of two female authors in this podcast, the lessons they learned from this project transcend gender. They did an excellent job exploring the ideas in the two books and discussing them in an engaging way. Take a listen! 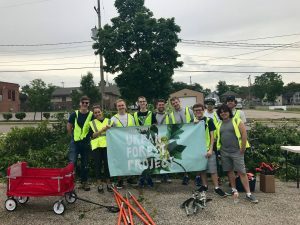 (This is the third and final post in a series by Joe Bustamante, a Hope senior who spent the summer as an application development intern at Open Systems Technologies in Grand Rapids, MI. In this series, Joe describes his internship experience and how it relates to his learning at Hope College. Our apologies for not getting this one out sooner!). It’s odd to think that school is back in full swing and I now have homework and other responsibilities that weren’t present this summer. The first week of classes may have just finished, but my mind is still partly in a summer mindset, especially when it comes to software development. I finished up my internship at Open Systems Technologies just a few weeks ago, but I’m still thinking about the opportunities I had there and some of the things I learned in the process. As I start up another school year and attempt to put many of the skills I practiced this summer into effect here at Hope, I’ve realized I can sum up some of what I learned this summer into three big takeaways. The first big thing I realized from my internship is that application development is a team job. For the most part, any software system with even a mediocre level of complexity or size requires a team of people to build and maintain. As I worked on some larger systems this summer (at least, larger than some of the projects that you typically get assigned in classes), I realized how necessary it is to have good communication with your team. The only way to keep so many moving parts working together is not only with good architecture and design, but also maintaining constant communication throughout the development process. Any project that involves more than a couple branches of work necessitates that those branches have both a clear vision and purpose, as well as a cohesive way to handle any conflicts that arise as those branches are continuously merged back together. Part of this first realization was also coming to understand some of the differences between the two main fields of development work: consulting and product. In consulting, communication is crucial since working with clients and meeting customer demands on a regular basis is key. Especially in a place that develops with an agile or agile-like methodology, and where regular demos and constant gathering of requirements are important, communicating effectively with both your team and a customer is an invaluable skill. That isn’t to say that communication isn’t also an essential skill in product development, but it takes a different form. The focus tends to be less on communication with the customer and more with your team and the rest of your organization, unless customer relations is part of your role. Either way, it’s important to think about what kind of a team dynamic you want to work with when trying to find a job as a developer. For me, I think this summer has shown me that working as a consultant on a small team within an agile methodology is one kind of dynamic I’m comfortable in. However, that might not be true for other people, and thus it’s important to try and get a feel for that dynamic at a potential workplace. The second important realization I had this summer, and one which I’ve talked about a lot in previous posts, is the importance of continuous learning and question asking. There’s always someone who knows more than you or is more experienced than you. Seeking those people out to grow your own understanding is a valuable part of the of software development. Besides the actual programming and designing I did this summer, one of the main ways I learned and grew was from looking at the code that other people on my team had written, especially the more senior developers. Seeing the ways that other people solve similar problems is a great method to grow your own understanding. Code reviews work in tandem to this. Having other people look at your code and ask you why you did things the way you did is good practice for making you think about your decisions. Additionally, it lets others show you any of the potential errors or bugs you may have missed. That said, it’s also important to have confidence in your ability and voice any questions you may have about the work of others, even if they may have more experience than you. At the very least, asking about things that don’t make sense to you will help you understand better, and it might even possibly uncover a bug or mistake in your team’s code that others didn’t realize. Imposter syndrome is a very real thing in the development field, and something that doesn’t always go away, even as you gain more experience. As most people who have ever been in the position of being the “expert” on something know, the pressure you feel when everyone looks to you for answers is often times even greater than what you feel when you just start out learning something. All that to say, never be afraid to ask questions and be confident in your own understanding of programming and the disciplines that surround it, and seek out the knowledge and advice of others whenever you can. This doesn’t mean that you need to have a formal degree in computer science, of course; plenty of developers are self-taught or never went to college. However, the fundamental theories behind programming and computing that are taught in a computer science curriculum are invaluable to creating good software and making smart design decisions. Even if you don’t directly use some of the knowledge you gain in more specialized systems, the process of learning those things itself provides a huge benefit when it comes to learning new technology. And you never know – you may just have to work with some framework or technology that uses some of what you learned under the hood. That was also the case for me this summer. As my team was developing the Alexa skill and our cloud backend, we were using a lot of promises and asynchronous frameworks. Though my experience with asynchronous programming was minimal, and I had never used these frameworks before, the learning I did in my advanced algorithms class helped me understand what was going on in the background and fix some bugs when they came up. Even though I didn’t have to actually implement any parallel or asynchronous functionality besides what the frameworks provided, knowing how those concepts worked allowed me to find bugs and use those frameworks more effectively. It was an incredible opportunity to be able to work at OST. It’s hard to sum up everything I learned into a single blog post, but I think these three things encapsulate the summer well. 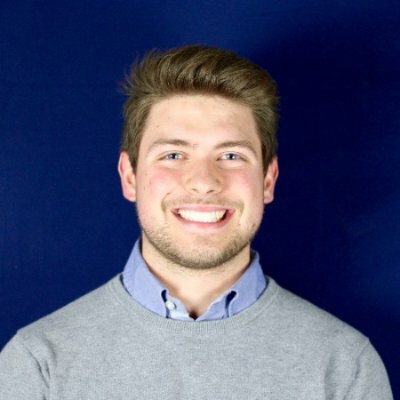 Spending a summer working on a team and developing an actual product has helped me realize that software development, and especially consulting, is something that I would love to do as a career. Being able to gain hands-on experience through an internship was a valuable way for me to come to that realization about software development, and definitely something I would recommend to anyone else interested in the field. 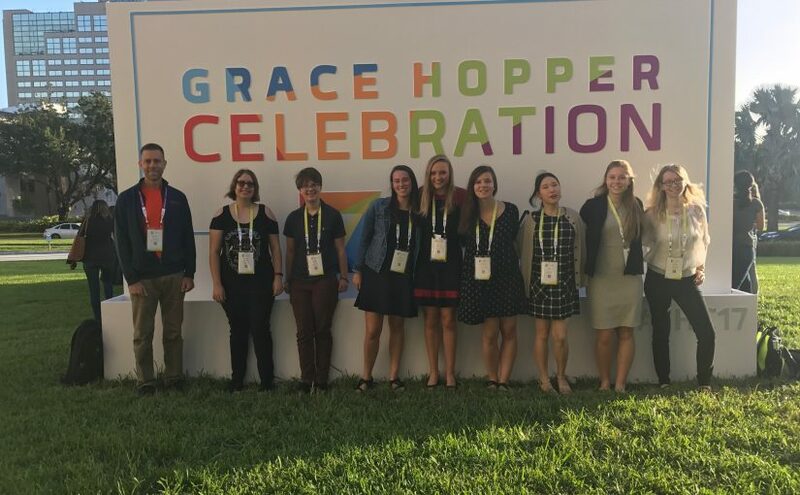 On October 4-6, the department sent eight Hope Computer Science students and one faculty member to this year’s Grace Hopper Celebration in Orlando, Florida. 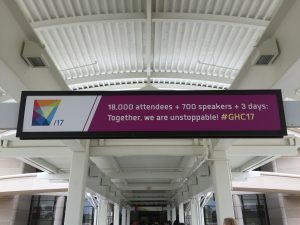 The annual conference is the largest gathering of women in technology and is a great way for attendees to build their networks and celebrate the accomplishments of women in computing. 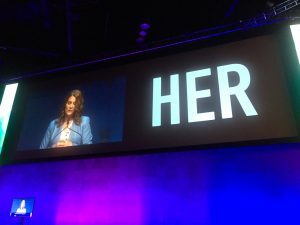 This year, around 18,000 people attended the conference and were able to hear from inspiring women, such as keynote speaker Melinda Gates. “It’s really inspiring to see so many women coming together from an industry where you don’t actually see that many women in a single group. It’s a great place to begin networking and start searching for job opportunities while learning more about the industry,” said Joanie Davis, a senior from Caledonia, MI, majoring in computer science. Attending the conference helped the students gain confidence in their abilities in Computer Science, and all of them came back with encouraging words for other young women who might be considering Computer Science. The CS department at Hope is committed to sending our young women to this conference each year, and to doing everything possible to provide a welcoming and supportive environment to everyone who is interested in learning more about what this exciting field has to offer. 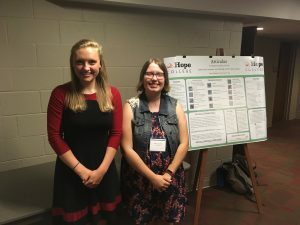 Students Amber Carnahan and Jori Gelbaugh won the best poster award at the 2017 Consortium for Computing Sciences in Colleges (CCSC) Midwest annual conference, held on September 26-27 at Calvin College. Students Jori Gelbaugh (left) & Amber Carnahan (right) with their poster about their Articulus project at CCSC MW 2017. Articulus is a Google Chrome extension that improves the readability of online articles. ... In plain English, Articulus makes reading online easier! For students with reading or learning disabilities, reading online articles can often be challenging because of online distractions and difficult words. Articulus was created to give these students (and other readers) the freedom to easily read the articles they want. Work on Articulus was completed during the summer of 2017, and was supervised by Dr. Mike Jipping. Congratulations to the students and Dr. Jipping for their outstanding work! Student Grace DuMez presented the Pallist application to a group of students, faculty, and local industry professionals on August 2, 2017. DuMez and her partner Michael Kiley (studying abroad in Mexico for Fall 2017) developed Pallist as part of the Summer 2017 Hope Software Institute under the supervision of Dr. Michael Jipping. Pallist is an application that helps people find friends located in the same building on Hope College’s campus. The students presented their work to a group of software developers from Atomic Object, Open Systems Technologies, BluJay Solutions, and SpinDance. After the presentation, the students, faculty, and professionals enjoyed getting to know each other over lunch. 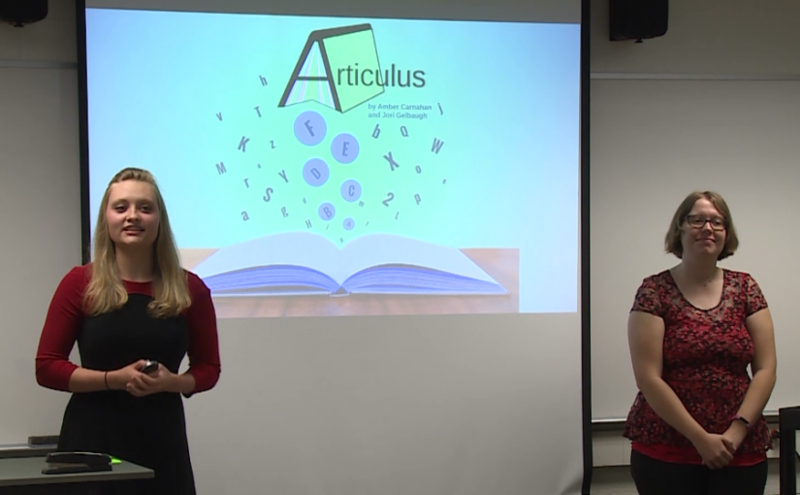 On Wednesday, August 2, the team of Amber Carnahan and Jori Gelbaugh presented their work on Articulus, a Chrome extension whose goal is allow readers of a web page to adjust the reading level required to understand the page’s content. Amber and Jori worked under the direction of Dr. Mike Jipping as part of the Hope Software Institute. (This is part 2 of a series of posts by Joe Bustamante, a rising Hope senior who is spending the summer as an application development intern at Open Systems Technologies in Grand Rapids, MI. In this series, Joe describes his internship experience and how it relates to his learning at Hope College). One of the things that made me want to pursue computer science and application development is the amount of learning involved. Technology changes so rapidly that you constantly have to learn and evaluate new tools. Being a constant learner is one of my favorite parts of the job. Almost nothing is as satisfying as learning how to solve a problem in a different or better way than you had realized before. That first moment when everything comes together and begins to make sense is one of the best feelings in the world, and working in technology just means that you continually get to have that feeling as new problems arise for you to overcome. That feeling has been a pretty big defining factor of my internship so far. In my first post, I wrote about how I was working on developing an Alexa skill to connect to devices via the cloud. Almost none of the languages or technologies that have been involved in developing the skill were things that I had experience with prior to starting at Open Systems Technologies (OST). I’ve had to learn a lot in the development process, and it hasn’t always been easy. There have been a lot of times where I’ve thought I did something the ‘best’ way, or that I was really starting to understand things. Almost every time I’ve felt that, though, there’s been a better way to do it. Whether that was something I realized on my own or was pointed to by someone else on the team, it can be a hard thing to come to terms with the fact that you still have a long way to go, especially after you’ve been working on something for a while. However, accepting that fact and fully embracing it as a learning opportunity has been something I’ve been constantly trying to push myself to do so far, and it’s opened the door to that incredible feeling that can only come through learning. Out of all the things I’ve had to learn or get better at, the idea of modularization and decoupling stand out. When you’re working on a project by yourself, especially a small one, it may not be an issue if a lot of your code is coupled together or isn’t as broken up into individual files or classes as it could be. It certainly isn’t a marker of good design, but it might not hamper your program. However, working in a production level environment, establishing a codebase that many other people will have to understand and modify, and trying to write something that will stand the test of time and scalability all require decoupled, modular code. Before I started, I thought I was pretty good at breaking things up and writing programs in a way that was easy to understand. Independent of how skilled I actually might have been – probably much less so than I thought – I’ve realized just how much room I still have to improve. I’ve had to refactor the code for the Alexa skill a number of times at this point, and each time it becomes way easier to read, maintain, and add on to. For this, I’m really grateful to the senior developers on my team who have been working at this a lot longer than I have. Having someone else look at your code can be a bit scary, but when someone more experienced than you walks you through it, it opens the door to things you might never have thought about. Having other people do code reviews and take the time to help me learn how I can be an even better programmer has been one of the best parts of the internship so far, and something I’ve really come to appreciate. Learning to be a better programmer is also exciting when I think about my future – both in a more immediate sense as I come back to Hope and in the long run after I graduate. I know that what I’ve been doing at OST will make me a better student in a number of ways. For one, having actually worked in a production level environment will ensure that my coding practices will be at a higher level than if I hadn’t had my internship. This means I’ll be able to design programs for projects in a much cleaner and more effective way than I would have before. Another improvement is that I’ll have a better understanding of the current landscape of technology and therefore be better able to choose technologies and languages to solve the problems I’m given. Coming into OST, it was a bit overwhelming knowing that I would have to work on projects at a scale much higher than I had before, and have to learn a ton of new concepts in the process. Now, having already had to do that, it will be that much less daunting doing it in the future. As far as how my internship will help me post-graduation, it’s comforting knowing that I’ll be able to enter the job field already having production level experience at a well-established practice behind me. How many people in college can say that they worked on a team developing software that shipped and is currently in use by thousands of people? Additionally, I’ve been able to do a lot of work in the internet-of-things and cloud computing realm. When you look at the future of development, I don’t think there’s much debate that internet-of-things development is undoubtedly one of the most important and fastest growing fields. 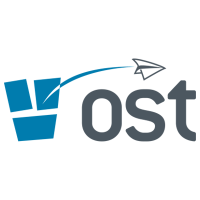 To be able to enter the job field having some pretty extensive experience working on those types of projects is really cool, and something I’m very grateful to OST for getting to do. All in all, it’s been a pretty incredible experience so far. I think, when I was younger or just considering going into software development, I had this idea that the industry was somewhat cutthroat or that if I didn’t end up working for some well-known Silicon Valley firm, I wouldn’t really be successful. While there’s certainly merit to working for one of those companies, I’ve realized that the industry at large is full of incredible, intelligent people working on equally incredible projects. I’m not quite sure what my expectations were about what working at OST would be like, but whatever they were, they’ve definitely be firmly exceeded. I’m excited to finish it up strong, and then take those skills with me not only back to Hope but wherever I go in the future! Hi there! My name is Joe Bustamante. I just finished my junior year as a computer science and English literature double major at Hope. This summer, I’m fortunate enough to have the opportunity to intern with Open Systems Technologies (OST) in their Application Development practice. 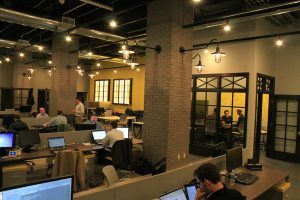 For those that don’t know, OST is an IT consulting company based in downtown Grand Rapids that works with businesses to solve whatever IT-related problems they may be facing. That may be setting up or managing a database, suggesting which cloud provider would be the best fit for them, or creating new software to meet one of their needs. As an AppDev intern, I’ll mostly be doing the software development aspect, creating whatever programs or apps companies need for their business. I woke up the morning of my first day feeling both excited and incredibly nervous. Would I do well at OST? What if I don’t like working as a developer? Even the small things, like where I should park or whether I should bring a lunch or not, worried me. This was going to be my first major experience working on a team of other developers (who were probably a lot smarter than I am) and, like most people as they start an internship or new job, I was worried about not quite fitting in or performing as well as I would be expected to. Fortunately, most of those doubts were put at ease within a few hours of arriving. As soon as I got to OST, the people that worked there welcomed us interns with open arms. There are four of us in Application Development, including myself, and within the first day we were all assigned to projects – not just typical intern things, like internal applications or coffee runs, but actual real projects for real clients. On top of that, the environment at OST made it easy to feel at home. Most people come in wearing jeans and a t-shirt, and are free to come in and leave whenever as long as they work a full week. The flexibility and easy-goingness at OST helps create a cool and unique environment where people enjoy coming to work, and it made it easy for us interns to feel welcomed. Another cool thing about OST’s internship program is that they assigned each of us mentors. These are senior developers within our project teams that are meant to be there to guide us throughout the summer, help us get up to speed on whatever technology we’re using, and answer any questions we have in general. Even within these first two weeks, the amount that I’ve learned is incredible. I’m currently working on a team to develop a backend application entirely on Amazon’s Web Services, including their cloud/internet of things framework. The goal of my project team is to connect some devices being made by a company to the cloud, and I’m helping write the interface to do that, as well as develop an Alexa skill to allow users to interact with those devices. I’ll probably be working on this project for the rest of the summer, but will also be doing some work on other teams and projects as the summer goes on. Looking forward, the main thing I’m looking to get out of my internship is to continue learning and gaining experience. Something that has struck me already is the difference in learning that happens in an academic setting compared to that in a work setting. At Hope, we spend a lot of time trying to understand the fundamentals of computer science and make sense of the discipline as a whole. At work, however, most of the learning I’ve had to do is more centered around which of the vast array of technologies, platforms, and frameworks is going to make the most sense to use on a project. You really have to take in to account which languages and services will be the best fit for what you’re trying to accomplish. There’s no doubt that a lot of this practical learning happens in an academic setting, but you really don’t get a full understanding of it until you encounter it in the workplace. Through it all, though, one thing I’m definitely grateful for is how Hope’s computer science department (and my time there in general) has prepared me for this internship. At OST, we have interns from MSU, Michigan, Grand Valley, and lots of other big schools. I’ve found that my background at Hope has actually helped me be almost more prepared than I might have been at some of the bigger colleges. Hope’s emphasis on the liberal arts and holistic learning has especially helped me on the business side of the job. Since OST is a consulting company, we spend a lot of time working with customers and adapting to what they want. The classes I’ve taken for my English major and core requirements have really prepared me well for those types of interactions, and for how to communicate effectively in general. On top of that, I’ve found that my computer science background has been more than adequate to prepare me for the job. Hope’s computer science department has done an excellent job teaching me how to learn and adapt in the technological world, which is something I’ve had to do in abundance these first two weeks. Because of the experience I’ve had working in such a variety of languages and projects, whether that be C#, OpenGL, Java, or C++, learning new languages and frameworks on the job is second nature. Hope has also taught me how to develop applications efficiently and in a way that’s easily maintainable. Overall, it’s been really cool getting to apply all the things I’ve studied over the last few years, and I can’t wait to see what the rest of the summer brings!